Muffin is a beautiful young pup with one floppy ear to give him some character. But Muffin doesn't get caught up on his looks. Muffin's got things to do. You see, Muffin's one of those dogs that wants to play ALL OF THE TIME! He's so very excited to meet other playmates, and if there are other dogs around, he's gonna chase them until they play with him! Because of a learning disability, Muffin's attention is difficult to hold, and his vocabulary appears stuck at "stop", "no" and "good boy", though he recently learned "sit" if a treat's involved. Muffin has a lot of energy in all directions at once, and while he may not exactly have object-permanence down, he's an expert in playtime and looks for fun around every corner. Muffin's favorite toys can best be described as "anything moving". He will do zoomies with the resident dog in his foster home or on his own, he enjoys tug of war with stuffed animals and playing "mouth" with his doggie friends. And hold onto those hollowed-out plush toys, because Muffin likes to throw them in the air and catch them. When Muffin finds a favorite plushie, he enjoys cuddling with it and occasionally grooming it. He also loves going on walks, is pretty good on leash and likes to stop a lot to look at stuff, especially if he can't figure out what it is. He's very alert to any weird sounds - if it's moving he should probably go try to play with it! When Muffin does stop moving, that means it's naptime, and he likes to lay on his human for that. He enjoys a good cuddle, but prefers sleeping separate and eats and sleeps overnight in his crate. He likes to kiss feet and hands very gently, and he's particularly fond of his foster's mother and melts into her whenever they interact. 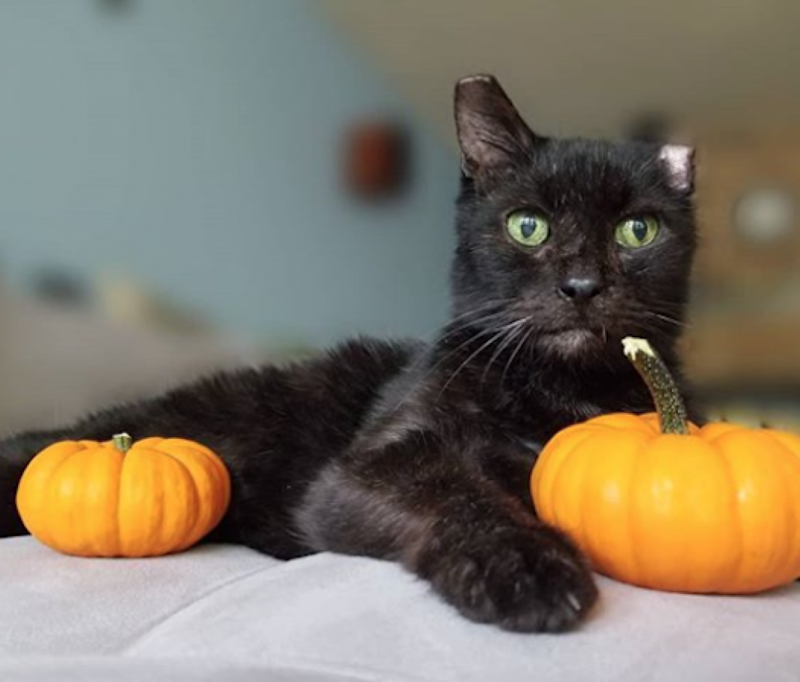 As much as he loves people, Muffin often has a difficult time focusing, as he's constantly distracted by the next bit of fun he can see and sometimes seems to be ignoring potential adopters. But out on walks, he introduces himself to everyone he walks past and has an interest in runners (he'd likely make a nice jogging buddy). Overall, Muffin's entire mission in life is playing and finding ways to amuse himself. He also makes adorable "gremlin noises". The ideal home for Muffin would have active people, a playful canine buddy to help burn off his energy, a yard to bound through and an unlimited supply of plushies and balls. 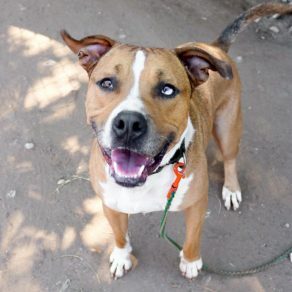 If you're ready to be Muffin's forever playmate, come meet this great pup! 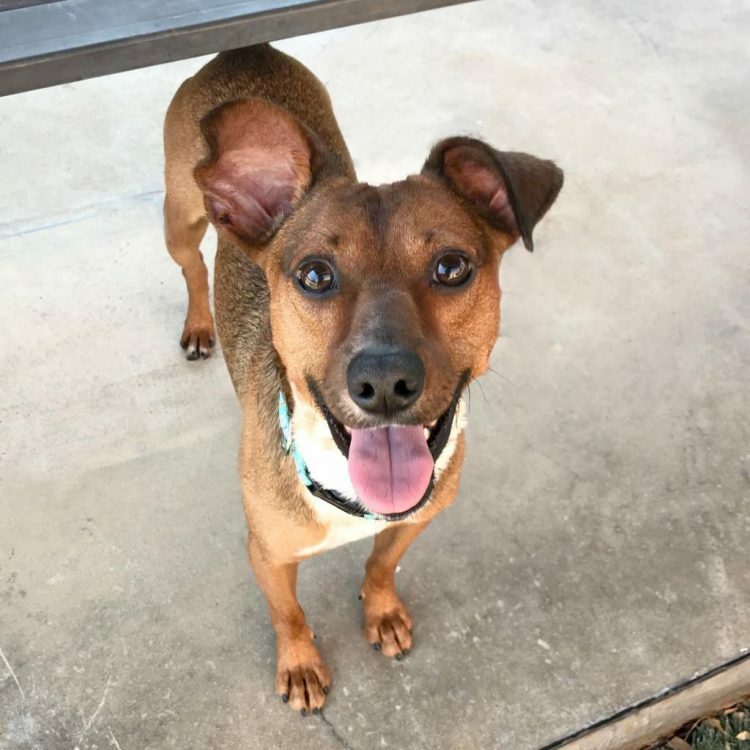 I saw Muffin (https://www.austinpetsalive.org/adopt/dogs/apa-a-56615) on the Austin Pets Alive! website and would like to request more information.